Multiple senior officials in recent days have said that the Iranian nuclear deal will help the Islamic Republic fund its global terrorist operations, including the financial backing of Hamas and other regional groups, according to a briefing by an Israeli intelligence group. Iranian officials, speaking at multiple forums in recent days, stressed that the nuclear deal will embolden Iran’s support for its "regional allies" and that weapons and military support would continue to be delivered on the "resistance front," according to a recent brief by the Meir Amit Intelligence and Terrorism Information Center. The officials outlined Iran’s plan to bolster its global terrorism operation and stated that the recent nuclear deal between Tehran and global powers will do nothing to deter Iran’s pursuit of regional dominance. Ali-Akbar Velayati, Supreme Leader Ali Khamenei’s adviser for international affairs, stated at a recent conference in Tehran that support for the "resistance front" is a top foreign policy objective. The nuclear agreement, Velayati said, "would make it possible to increase Iran's support for its regional allies," according to recent comments noted in the brief. The official went on to say that "the situation of the resistance front had improved." Other senior Iranian officials have echoed these remarks. 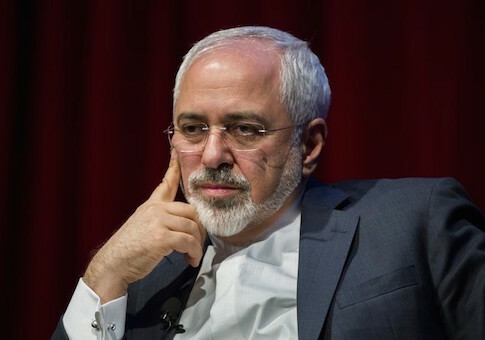 Foreign Minister Javad Zarif, who led nuclear negotiations with the United States, recently travelled to Syria and Lebanon to announce Iran’s renewed support for Hezbollah and the embattled regime of President Bashar al-Assad in Syria, according to the brief. Iran will "continue providing weapons to support the Middle Eastern countries fighting terrorism," Zarif is quoted as saying by Iran’s state-controlled press. In light of the nuclear deal, Iran will "preserve its defensive capabilities and send weapons to its regional allies," according to Zarif, who stressed that "without Iran and the weapons it provided to the countries fighting terrorism, the capital cities of the Middle East would have been occupied by" the Islamic State (IS, also known as ISIS or ISIL). Iran also intends to boost its support for fighters in Yemen and Palestinian terrorist groups. More than 70 members of the Iranian parliament, for instance, recently petitioned President Hassan Rouhani to increase "Iranian support for the regional resistance front after the nuclear agreement," according to the report. "They called on the president to use the ministries of defense and foreign affairs to send aid to the Palestinians in accordance with instructions from the Supreme Leader to arm the Palestinians in the West Bank," the report notes. Another senior Iranian national security official, Javad Karimi Qoddousi, demanded this month that "all the senior Iranian officials … support aid for the Palestinian people and the resistance front so that the nuclear agreement [is not] exploited to strengthen Israel's security," according to the brief. These remarks have been accompanied by aggressive military moves by Iran, which has conducted multiple war drills in recent weeks and announced the upcoming launch of missiles, a move that could violate current United Nations Security Council resolutions barring such activity. supporting them even after the nuclear agreement with the West," the Meir Amit center concluded in its brief. "The speeches of senior officials also reflected Iran's approach to the rise and strengthening of ISIS and radical Sunni Islam." Iran also has committed itself to preventing the United States from gaining a foothold in the Middle East. Iran will "not allow the United States to again extend its political influence in the region," Velayati said in another recent interview. "Middle Eastern countries and people, led by Iran, had awakened and were standing firm" against America. Senior Hamas officials have also disclosed in recent days that a delegation would soon be visiting Tehran. Since the nuclear deal was secured, "relations between Hamas and Iran [have been] good," according to these officials. This entry was posted in National Security and tagged Hamas, Hezbollah, Iran Nuclear Deal, Lebanon, Syria. Bookmark the permalink.